Home Open website, the newest competitor to property listings sites realestate.com.au and domain.com.au, has started operation. The new real estate search site has completed its set of search portals with the iPhone, iPad and Android application versions now all being operational. 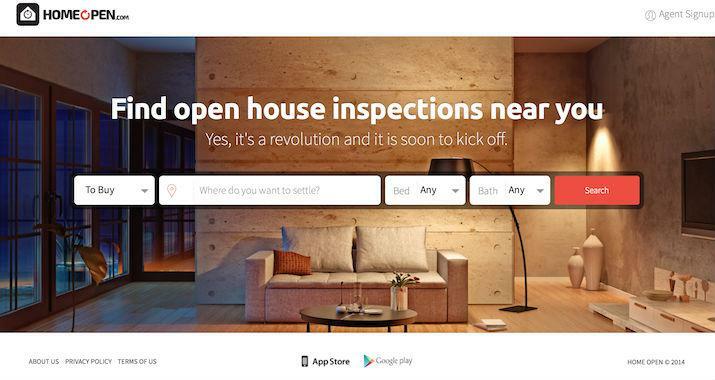 The Home Open portal is designed to aid those looking for a home to buy or rent to find nearby properties open for inspection. It provides ease of use by allowing for fast searching by presenting users with the relevant properties without the need to trawl through thousands of listings without home opens. Users will also be able to view a map of their current area with a display of nearby properties ready to inspect now or a little later. They will also be able to add properties of interest to their calendar. Agent registrations for Home Open continue to increase daily and has attracted the interest of some of Australia’s largest real estate franchises these include Ray White, Raine & Horne, The Professionals and First National who combined have over 2,000 franchises across Australia. Applabs Australia's Managaing Director Stuart Kidd said in a statement to the Australian Securities Exchange that its work will continue on the agent signup process, paying particular attention to Western Australia. Mr Kidd said Western Australia has had the greatest adoption of the technology to date. “Having a particular focus on an individual state initially will also allow for greater assessment of the effectiveness of any initiatives before they are rolled out Australia wide,” Mr Kidd said. The websites extra appeal of being able to “white label” the site allows its users to apply their own branding to the website. REA Group’s realestate.com.au and Fairfax Media's domain.com.au portals however still dominate the online property search market particularly in Sydney and Melbourne. Upgrades of the iPhone and iPad versions will be released in the coming weeks.